This leafy, native plant of New Zealand has been part of kiwi’s (the people of New Zealand, not the native bird:) diet for hundreds of years. Firstly to help fight disease’s associated with the early European settlers but later on it became a favourite addition to everyday meals. This is due in part, to it’s essential nutrients like Vitamin A but also because it has the ability to balance a meal with it’s slightly peppery taste and no real addition to someones calorie intake. If you are also looking for a hefty injection of anti-oxidants into your diet, then including New Zealand spinach in your next recipe is a great way of doing so. Anti-oxidants in spinach, come in the form of caroteniods (or more easily recognisable as Vitamin C, E and A) and manganese. These specific antioxidant nutrients work together to improve the health of your eyes (specific to carotenoids) and also the health of your bone structure (specific to manganese). They also improve your general health and ability to fight off everyday ailments like colds. Along with all it’s anti-oxidant goodness, it also provides a decent amount of dietary fiber or roughage as some might say. Whilst it’s not astronomical amounts of fiber (about 2.2 g per 100 grams) the difference with this vegetable is that you can consume a lot more without the risk of adding more calories to your diet at the same time. Where as other sources of fiber like corn, increases your calorie intake exponentially with every serving. 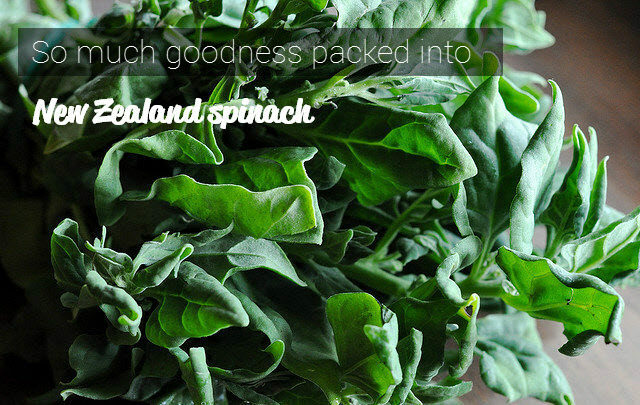 In short, New Zealand spinach provides a nutrient rich element to bolster out your meals without the unwanted calories or saturated fat. This humble vegetable can be added to your diet in any number of ways but this little hybrid lasagna recipe below is something that will leave you wanting more whilst still giving you all the health benefits discussed above. Boil a large pot of water, preferably with a pinch of salt and some olive oil added for optimal results with your lasagna pasta. Boil the pasta for 10 mins or to your liking and then drain. Heat a frying pan to a moderate level with a dash of olive oil and then add your mushrooms, onions, minced garlic until ever so slightly caramelising. Then boil the spinach for 5 minutes, making sure you drain and then using a paper towel lightly removing excess liquid. Then begin chopping the spinach. Now for the magic. Start to combine the mushroom, onion and garlic mixture with the ricotta cheese, spinach, oregano, basil, black pepper, salt and egg in a bowl and stir until the egg is beaten through the mixture. Place the 3 of the lasagna pasta strips down in a dish and spread 1/3 of the mixture across them, then add in the pasta source and 30g of the mozzarella cheese and place next pasta over this. Then add the next layer of ingredients topped with the 3 remaining lasagna pasta strips. Finish off with the final 1/3 of the mixture but this time cover with the remaining mozzarella (or halloumi). Cover the lasagna with tin foil and place in the oven for 55 mins. When ready, let it stand for 15 mins before serving. So as you can see this dark green vegetable with more health benefits then you can poke a stick at, is an exceedingly versatile and healthy addition to your diet. If you also become as fanatical about New Zealand spinach as we are, then have a go at planting some spinach seeds in that next depression garden you start in spring. Just remember to get the spacing right, plant the seeds in nutrient rich soil and your edible garden will be sprouting spinach in no time. Is this recipe correct, 20 grams of new zealand spinach? My conversion app says this is less than one ounce. Seems a mighty small amount. Sorry about that Bill, you are correct and thanks for spotting it. It’s actually 200 grams (we missed off a “0”) so about 7 ounces of fresh New Zealand spinach. We hope you enjoy the recipe as it’s a seriously awesome dinner. If you want to make the dinner that little bit more special or “New Zealand-afied” and because it’s a slightly lighter than your average lasagna recipe. Try matching it with the Villa Maria Pinot Noir 2012 which we gave a 5 star review and highly recommend!